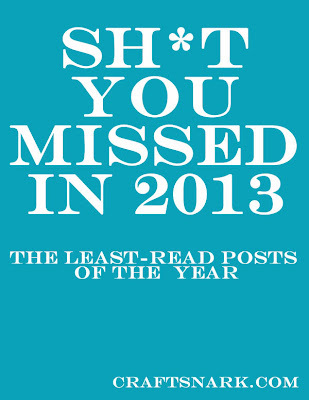 Bloggers all over blogland are posting lists of their most popular posts for 2013. Which is great. They're giving their readers big ol' lists of stuff that their readers have already read. And we know they read it because the stats show that they clicked on it, pinned it, shared it, and so on. 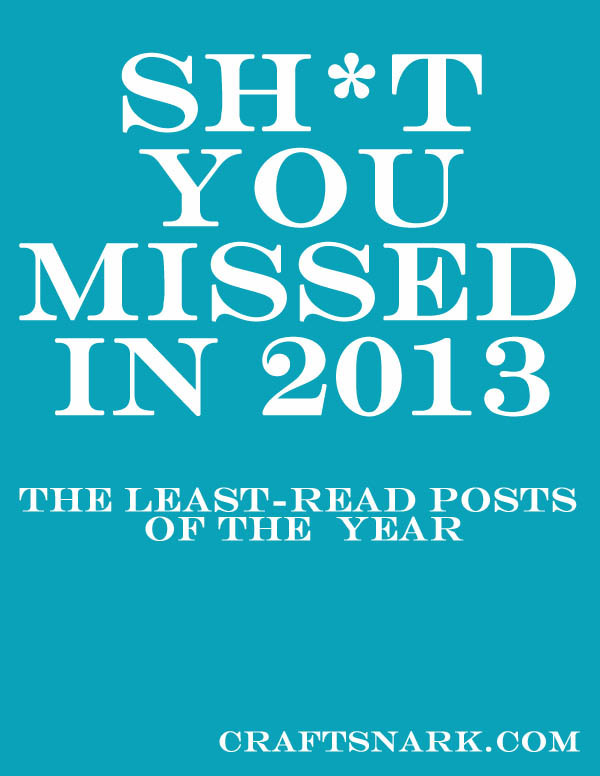 So, all these "Most Popular Posts of 2013" posts are really "Here is all the Crap you've already Seen". To keep things fresh. Here are the LEAST popular posts on CraftSnark in 2013. Yup, I scoured my stats to see what you missed last year, so you can catch up on the CraftSnark my stats tell me you never saw.